When the CEOs of big companies buy smaller startups in a grab for their members, the executives know there’s a very important, very formulaic promise they must make: Nothing will change. Mark Zuckerberg trotted out this line when he acquired Instagram. (“We're committed to building and growing Instagram independently,” he assured.) And he parroted it again last week after paying $19 billion for WhatsApp. The arrangement sounds nice, but the reality isn't so rosy. The question of whether or not these “independent” new Facebook satellites get to keep their logos or craft their next features pales in comparison to a larger issue that threatens their promised autonomy: the creep of Facebook’s core values into WhatsApp and Instagram’s DNA. Already, there have been changes to Instagram -- like its crusade against photos of unshaved bikini lines and push toward real-life personas -- that bear Facebook’s fingerprints. As the social network snaps up more WhatsApps and Instagrams in its “unite and conquer” plan to own each facet of our online social lives, it’s likely we’ll find it harder to escape Facebook’s ideas about personal data, good behavior, and privacy. That doesn’t mean we’ll stop socializing. But like a boozy dinner party crashed by your company's head of HR, Facebook's overarching presence may mean even more places where we interact according to Facebook's mores -- even when we don't see its blue logo at the top of our screens. “WhatsApp and Instagram are small little companies with a little bit of software. And that’s why I think Facebook will fundamentally change these companies over time,” says Brian Blau, an analyst with the research firm Gartner Group. 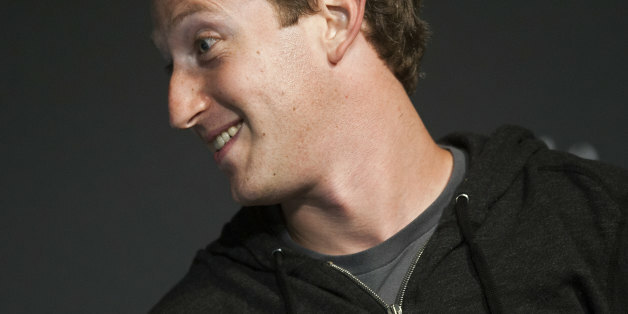 “[Facebook] will maintain [them] separately for a while because they have to. But over time ... they’ll be more similar than they are different. Many of us, having been on Facebook the better part of a decade, may be so used to its code of conduct that we’ve forgotten what it looks like and makes us do. Here’s a refresher: Facebook loves real identities, gulping down data, banning the sensitive and risqué, acting first then begging forgiveness later, and feeding Facebook at all costs. In contrast with its pre-deal days, Instagram is more carefully watching the photos you share, more vigorously pushing you to be your real self and more closely aligned with Facebook. These changes suggest the creeping reach of the Facebook values into Instagram's service. Unlike Facebook or Instagram, WhatsApp gave itself three unequivocal commandments to stick to. “No Ads! No Games! No Gimmicks!” read a note WhatsApp CEO Jan Koum kept mounted next to his desk. Their principles are so clear -- and so antithetical to Facebook’s -- that it will be especially glaring if Facebook’s ideas should bleed over into its new acquisition. Koum will also become a Facebook board member, which may give him extra power to keep his domain isolated from the mothership. But Facebook also has an insidious and highly effective way of pushing its agenda: Its alleged do-gooder stance. The social network likes to remind us it’s not a normal company concerned with silly things like money or shareholder value. It’s a company “built to accomplish a social mission,” Zuckerberg wrote in the opening line of his letter to investors, pre-IPO. Facebook prides itself on its dedication to making the world “more open and connected,” which it optimistically predicts will improve friendships, fix commerce and spruce up our governments. This lofty crusade should make us even more dubious of Facebook’s promise not to rub off on the dominions in its empire. Facebook’s conviction that it’s on a humanitarian mission to “rewire” how we share and connect gives it a cover for proselytizing its ideas on personal information. Say it asks WhatsApp to start tracking our locations. Facebook certainly wouldn’t be trying to make money, it might protest. It’s just trying to do good. Facebook likes to argue we can always opt out if we don’t want to live by the rules of its carefully controlled, information-collecting universe. But it also knows from experience there isn’t too much it can do to us and have us leave -- whether it’s on Facebook, Instagram or WhatsApp. Where our friends go is where we stay. And where our friends go is where Facebook, and its ideas, go too. Do you work at Facebook, Whatsapp or Instagram? Think we got it wrong? Or right? Or just have something to share? Email bianca@huffingtonpost.com.